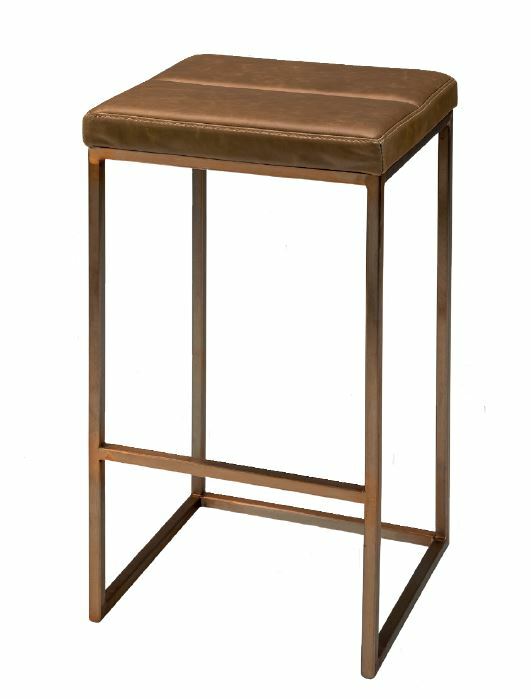 Function, form, design with quality and stability we offer you the Harriet Barstool. The Metal frame has a brass lacquered finish with the edge-stitching detail. Looks fabulous in leather (as photographed) or with vinyl or fabric.